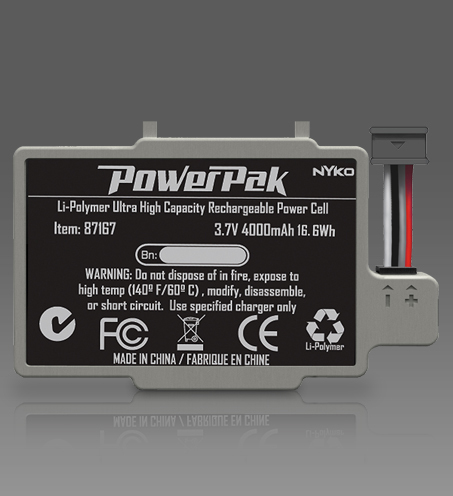 Keep your Wii U GamePad charged and ready for action with the Power Pak™ from Nyko Technologies®. The Power Pak is a rechargeable Lithium Polymer battery designed exclusively for the GamePad and the rigorous demands of gamers. The triple capacity battery provides up to 3x the playtime on a single charge, and seamlessly replaces the existing GamePad battery for a sleek and seamless upgrade, ideal for marathon gaming sessions. 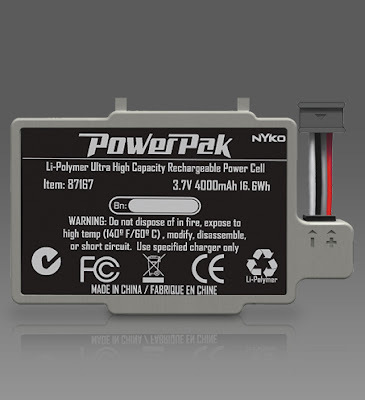 The Power Pak charges using the stock AC Adaptor or Charging Cradle included with the Wii U, as well as Nyko’s charging solutions for the GamePad. The Power Pak is the ideal solution for powering your GamePad allowing you to play longer with no change to the appearance of the controller. A mini screwdriver is included with each PowerPak, no additional tools are needed to install the battery. This will be an answer to one of the Wii U's flaws with the Gamepad's low battery life. Three times the charge should provide about 10 hours of play time. However, we'll see if real world tests live up the claim.